In Vietnam, the early start on school and work means breakfast is usually rushed. It’s 7am on a Monday, your stomach is rumbling, the sun is glaring in your face, and work is calling. Where do you go? What do you get? Traditional breakfast choices in Vietnam are incredibly varied and all worth a try. We have compiled here some of the most popular dishes and where you can find them in Vietnam’s two major cities, Hanoi and Ho Chi Minh City. 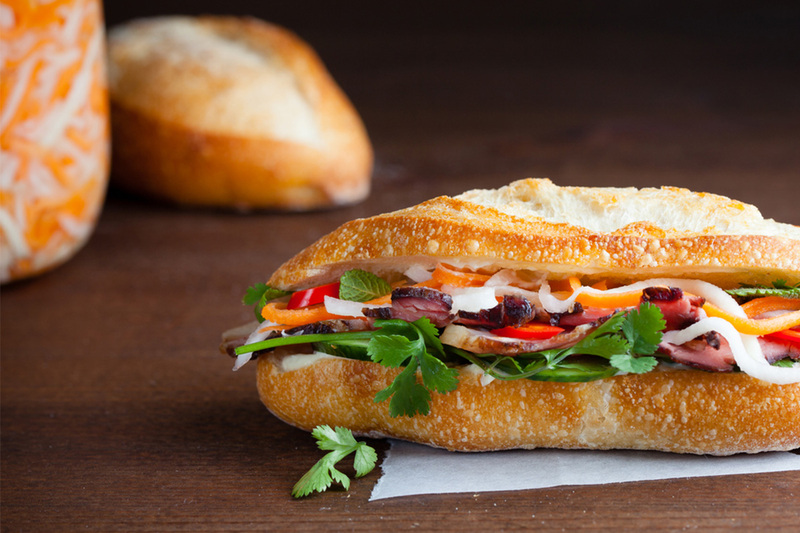 Otherwise known as the Vietnamese sandwich, banh mi is one of the most popular Vietnamese specialties abroad. It’s also very easy to make by yourself. Banh mi consists of Vietnamese baguettes with fillings of meat and vegetables, sometimes with rousong and often with chili sauce or mayonnaise. 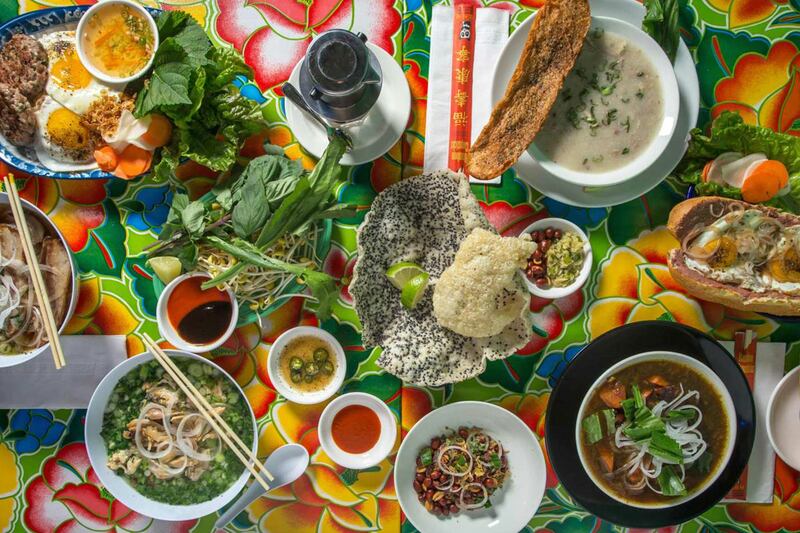 Originally from Cambodia, where it is known as kuy teav, hu tieu has since acquired features unique to Vietnamese cuisine. Hu tieu consists of boiled rice noodles, pork, shrimp, quail eggs, with sliced pork liver and heart. Different locales make hu tieu differently, and two main varieties are Nam Vang and My Tho (made a bigger and more chewy type of noodles). If you define the term Bo Ne in Vietnamese, it literally means “cow dodging”. But don’t worry, cows won’t be flying at you while you are enjoying this dish. Since the food is sizzling and served on a hot steel plate, you are going to need to dodge the oil flying towards you. And that is how the name Bo Ne originated. Bo Ne is a favorite dish of many Saigonese. The dish is cooked with many different ingredients. 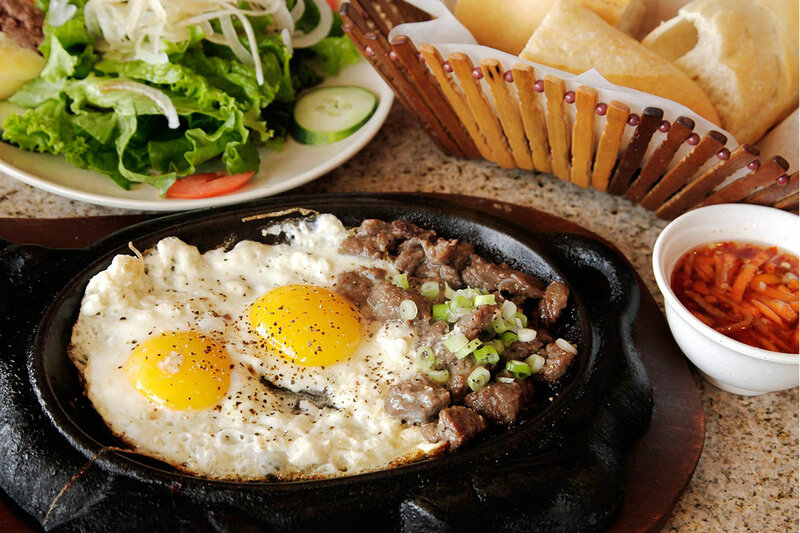 It has marinated beef steak, sunny-side up eggs, pate, onions and topped with fries. Because of the oily nature of the dish, Bo Ne is always served with a side of lettuce, cucumber and tomato salad. Since Bo Ne is mostly popular in Ho Chi Minh City, we would recommend you to try it here for an authentic taste. 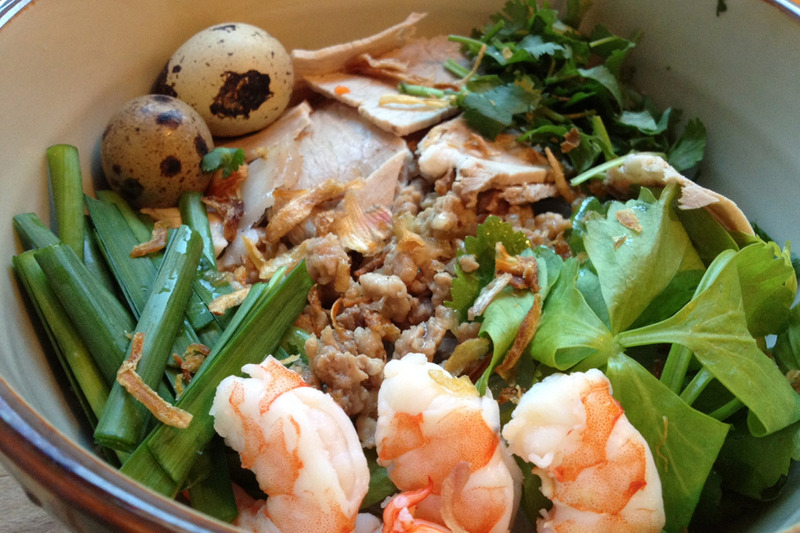 If you are looking for a rich meal to prepare for a busy day ahead, Com Tam is the right choice. Besides Hu Tieu, Com Tam is Saigonese’s top favorite dish for breakfast. Instead of white rice, Com Tam is made with broken rice, and this is where the name comes from. 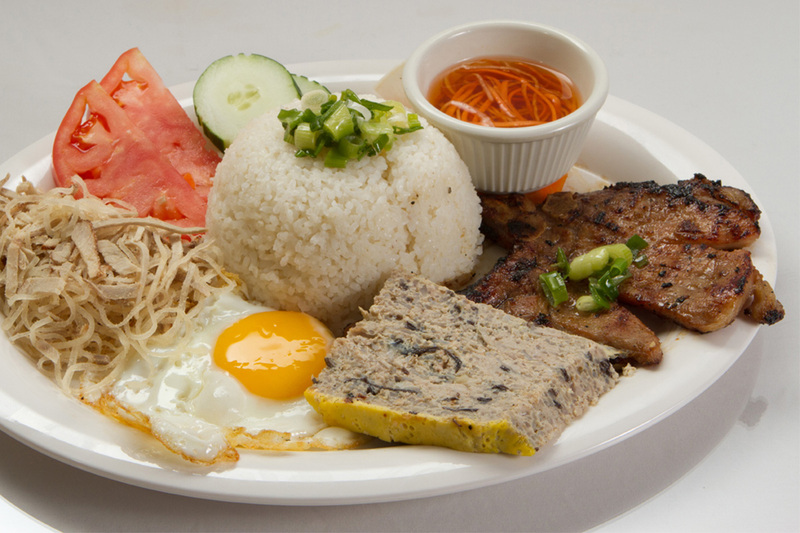 It is served with honey marinated pork, shredded pig skins, egg meatloaf, fried eggs, cucumber and pickled carrots. And of course you cannot forget a side of fish sauce. Fun fact: Com Tam and Bo Ne are the only two dishes on the list that you don’t use chopsticks to eat, in fact, you will be using a knife and fork. Coming from a heavy dish such as Com Tam, Banh Cuon is the opposite. Since the rice crepe is paper thin, you will not have to worry about being bloated after breakfast. 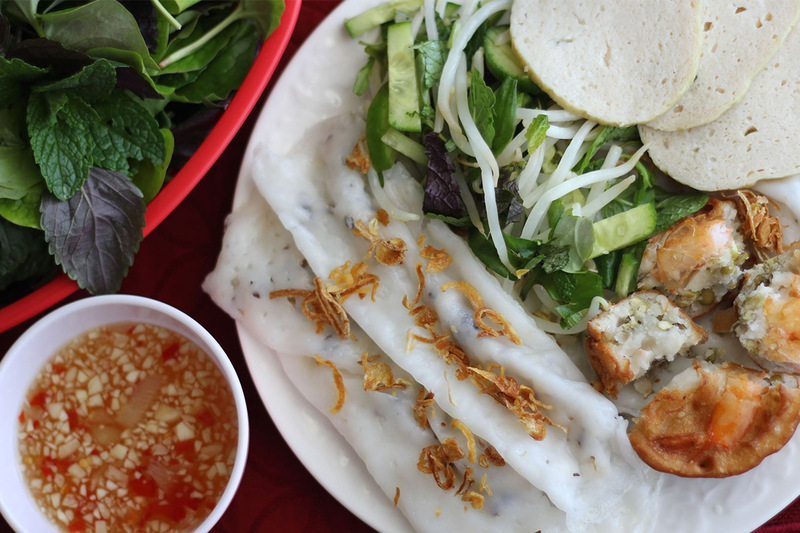 However, with the sides which come with the dish, you are sure to have a nutritious breakfast with Banh Cuon. The rice crepe is stuffed with ground pork and wood ear mushrooms. Banh Cuon is served with Vietnamese ham Cha Lua, chopped cucumber, boiled bean sprouts, cilantro, Vietnamese basil and topped with fried shallot. 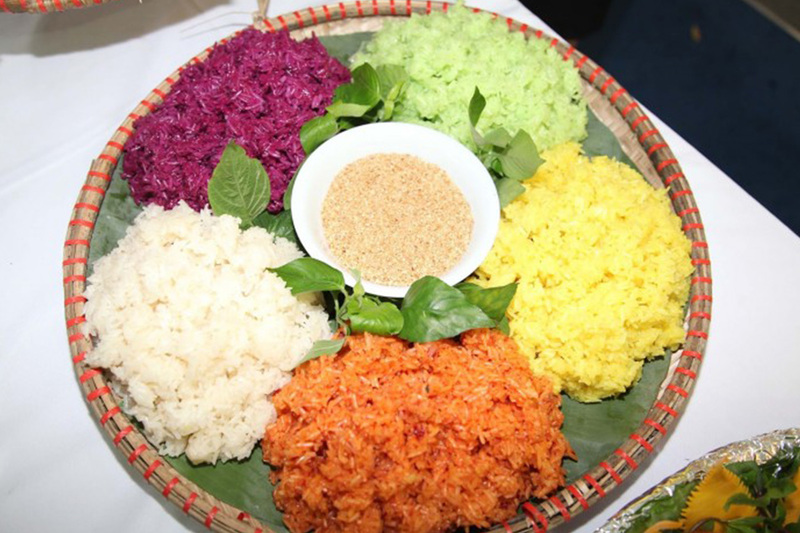 Since it is originated in Hanoi, Banh cuon is usually a go to choice for many Hanoians. Last but not least, you cannot have a list of Vietnamese breakfasts without Pho. Pho is the most well-known Vietnamese dish around the world. 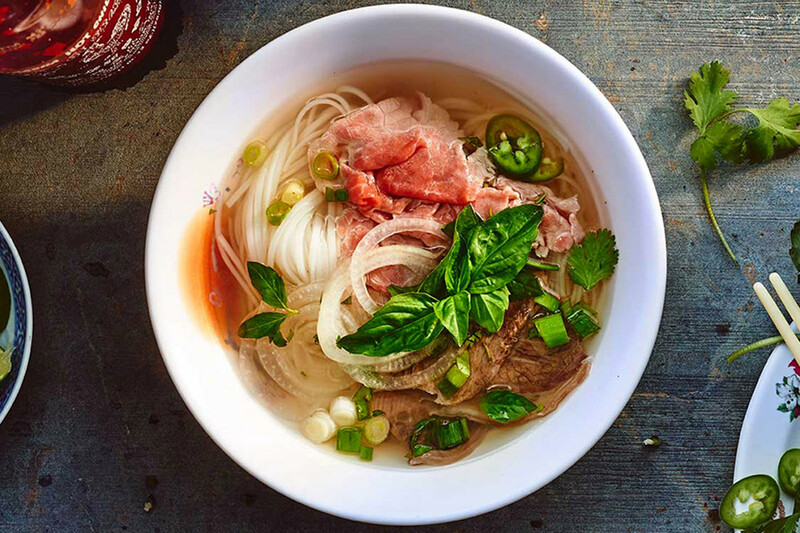 Originally from Nam Dinh, a province in the north of Vietnam, Pho consumption spread to the south and then to the rest of the world by Vietnamese refugees in the 1970s, gaining widespread acclaim from the international community.